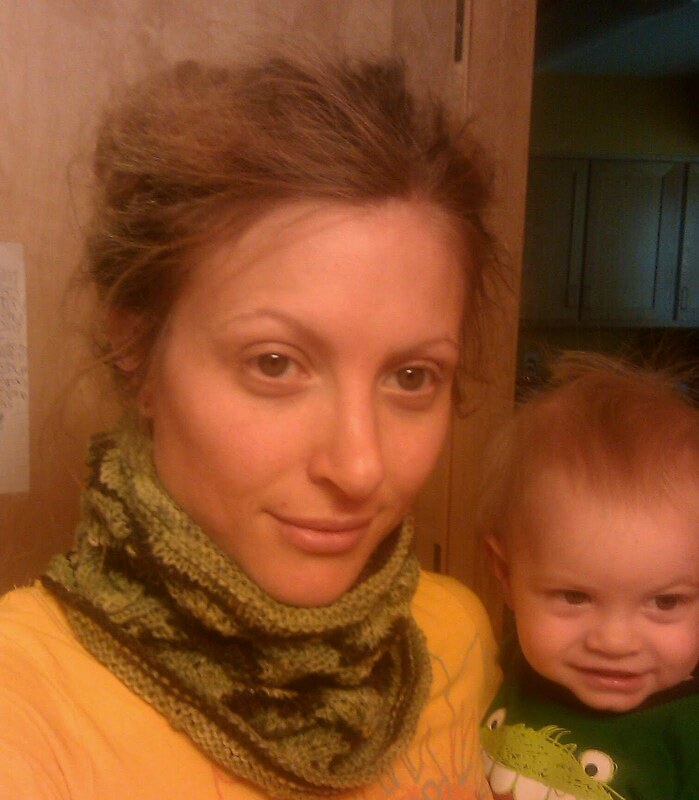 Now, this project was fun to knit.... 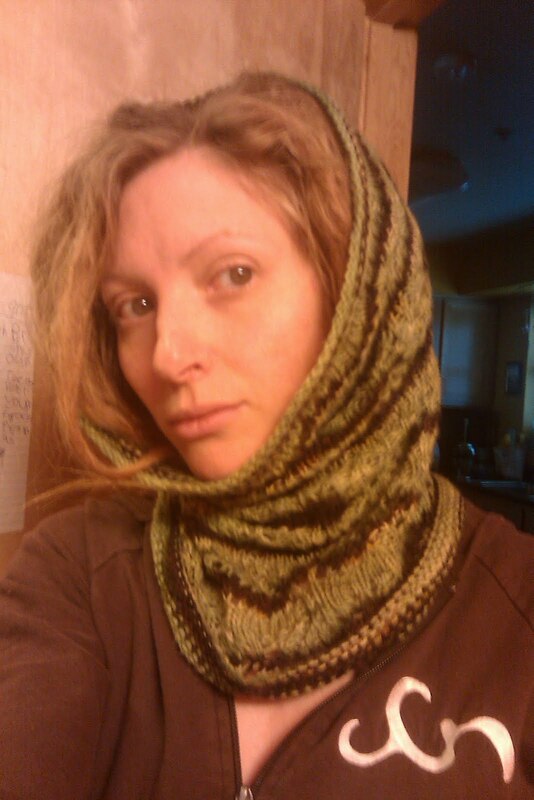 I decided on a smoke ring, wimple, or cowl, if you will. 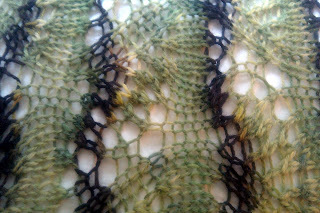 I used a lovely yarn from Biscotte & Cie in the Boreal Forest colorway. I've been having fun using up my stash by the way, it's so much fun to just shop for yarn in your own house! First August project completion is my Forest of Fall Smoke Ring and I am so pleased with it. This pattern is the Wavy Feathers Wimple pattern, and it is such a lovely knit. 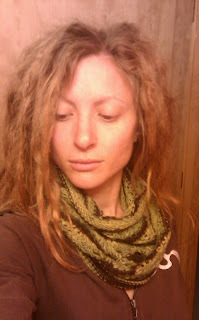 It knits up quickly, is easy to remember, and is nearly mindless knitting with enough variety to quell boredom. It is so soft and squishy... I think I'm officially becoming addicted to cowls. Now I want to have many so I can throw them on whenever I like. It's really the kind of thing I can wear all day long and it doesn't get in the way - which is a plus with five kids and always having full hands - but it's snuggly and warm, but not too hot even with temps in the 60's. This is knit from a 80% superwash wool with 20% nylon. This last picture is taken before I blocked it, and really it's quite fine without blocking. The blocking pulls out the pattern of course, and gives it some extra size, but it's very stretchy and I imagine that I can just machine wash it and dry, then take out when it's a little damp and sort of shape it for a quick dry.